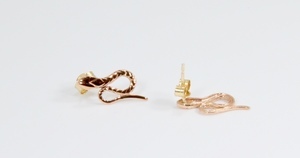 Love Lock 9ct Rose Gold Small Snake Studs.. 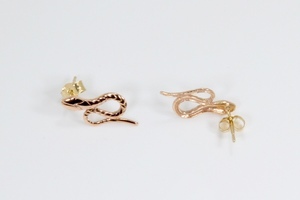 The Victorian era brought snake jewellery into the limelight after Prince Albert proposed to Queen Victoria with a ring in the image of a snake to be a figure of eternal love. 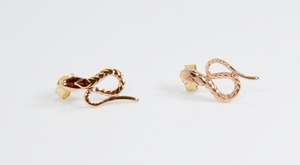 Reaching eminence in the 1840s, the serpent represented eternity and wisdom during this period and was a widespread motif on brooches, pendants, rings, bracelets and many other ornamental accessories.